Nerds and fanboys, that’s me, can rejoice after much hype and waiting for the War in the North. I have seen this title over the last two years at E3 and surprisingly my anticipation has grown over the years as at first I thought it was a movie game, but oh no it is not. In fact, you take on the role of one of three heroes that were part of the War in the North that was lightly touched in the movies. In this title you will see some familiar faces and places along with new heroes and locales to take you on a new journey as opposed to the previous entries. 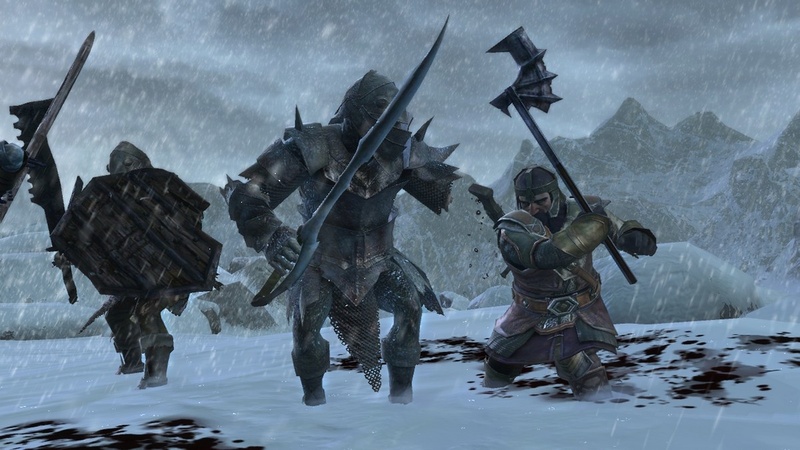 This is an action RPG that is brought to you by the developers od Baldur’s Gate: Dark Alliance, so you can be sure to expect character customization, skill trees, and orcs, but along with that you get a strong three player coop and when not playing coop you can change your character in between levels. So get ready to choose from Eradan the ranger, Andriel the Elf, or Farin the Dwarf as we depart on this review. I was a little hesitant at first about this title as I love action RPG games, but not a big fan of licensed titles, but what I got after powering up and playing through for a few days on both the single player and online coop, it was not what I expected, but more what I was hoping for. 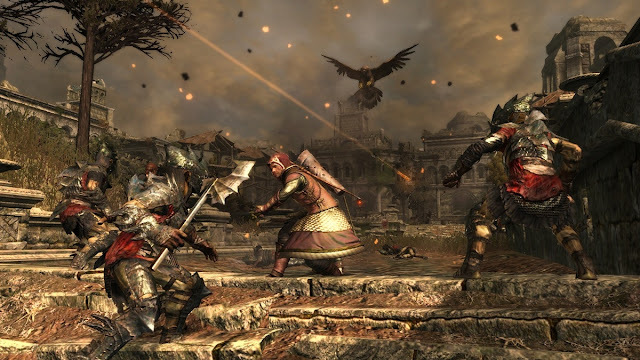 The combat is great, not overly fast, but not so slow that it leaves you vulnerable in between blows, and is graphic as this is a Mature rated game. Each character plays very differently from the next with their own perks and skill trees, but what is nice, is that experience gained with one character carries over to the next if you choose to change you character in between missions. The story and graphics are strong and while it does tie into some parts of the movie and books, it does not lean too heavily on them. The coop is where I think I had the most fun, as you can play with up to two other players online, the matchmaking is fast, and though some may not like this, but there can only be one of each player as your team follows the story and must provide support in order to survive rather than running into battle axes flailing. Here comes the obligatory camera bashing, as when you rotate the camera, it moves at a slow pace for a second and then increases speed making it very easy to over correct and proving that the battle is not only with Sauron. 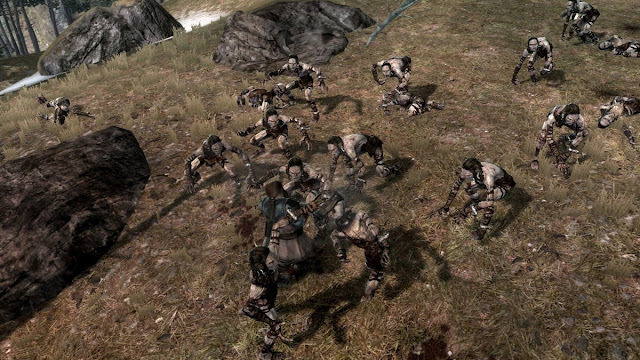 The AI of other characters is somewhat lacking from what I experience as I noticed I was doing most of the battling and they typically provided the role of healer and reviver every time I went down and while you can command them to defend or attack, the best resolution for this matter is to play the game as it was made to be played, online coop. 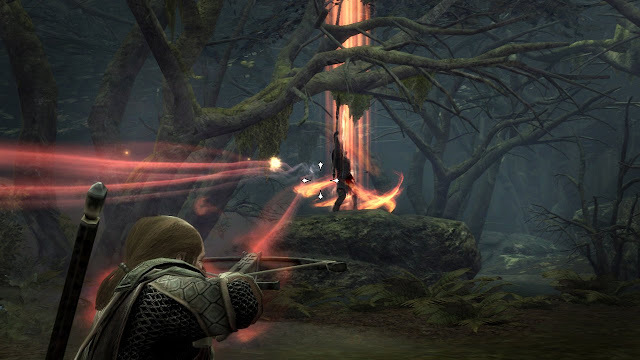 Lastly, for as detailed and visceral the gameplay and graphics were, the menu system was rather bland and dated, which doesn’t take away from the gameplay but you will be spending a large amount of time in your inventory and menus when leveling or optimizing your equipment load out. 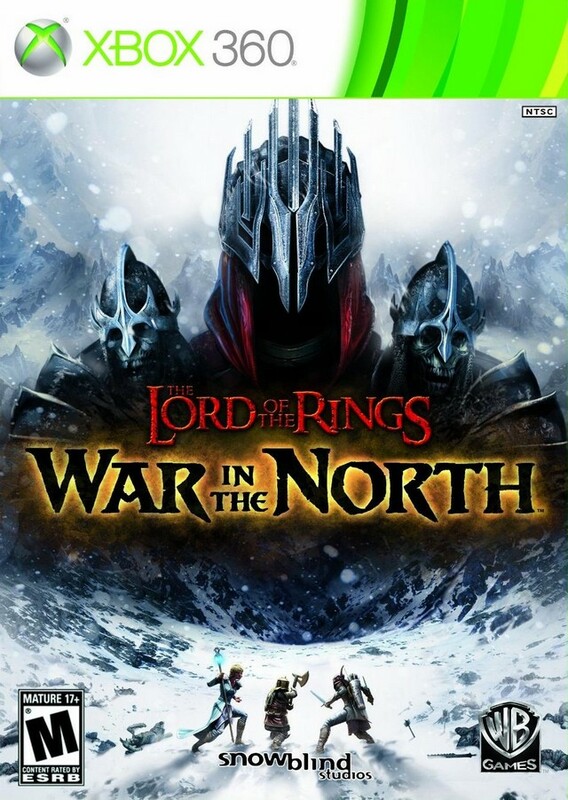 All in all, I was pleasantly surprised with War in the North. The graphics, story, and coop was incredibly strong, even though the Great Eagle, Beleram didn’t seem to fit very well, but was a nice perk to call death from the sky when things got hairy. There is also a lot of replay value as I found characters interacted differently in levels making me want to go back and play again with another hero to see what I missed the first time, and the coop gameplay is exactly what I wanted in an action RPG, even if it was rather linear.